This week, our guest blogger Nat (@natmozzie) shows us how to make simple and easy DIY giant paper roses, and gives us the low down on what inspired her to take up this project. 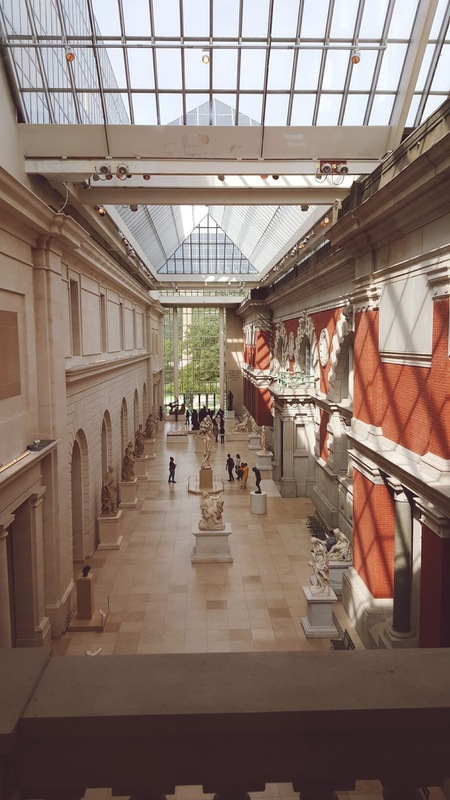 As someone who deeply loves all things creative, visiting New York’s Metropolitan Museum of Art has been something I have wanted to do for a very long time. Late September this year, I was able to visit one of the world’s landmark institutions. 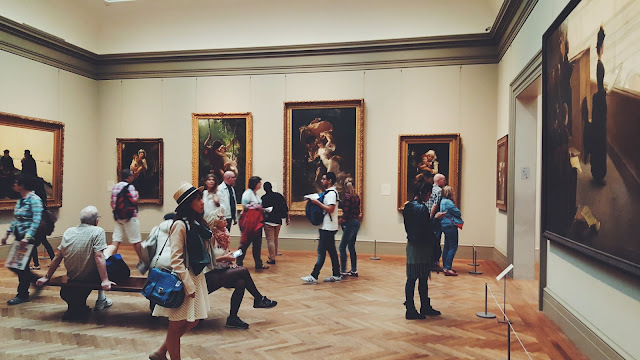 The Met, as the museum is also known, rivals giants such as the Louvre in Paris or London’s National Gallery. 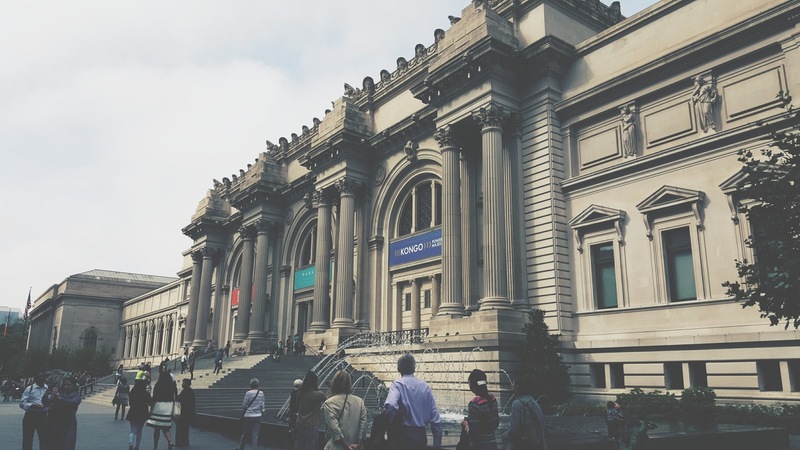 The Met is roughly two million square feet and houses a permanent collection of nearly two million works of art. The diversity and quality of work on display is simply breathtaking. Famous works from old European masters such as Rodin, Cezanne and Rembrandt can be seen. First century pottery and beautiful bronze work from the Middle East are also on display. Recently, the Met played host to the major fashion exhibit ‘China – through the looking glass’, an epic event organised by Anna Wintour herself, which explored the impact of Chinese aesthetics on Western fashion and examined how China has fueled the imagination of individuals for centuries. One particular collection caught my attention. 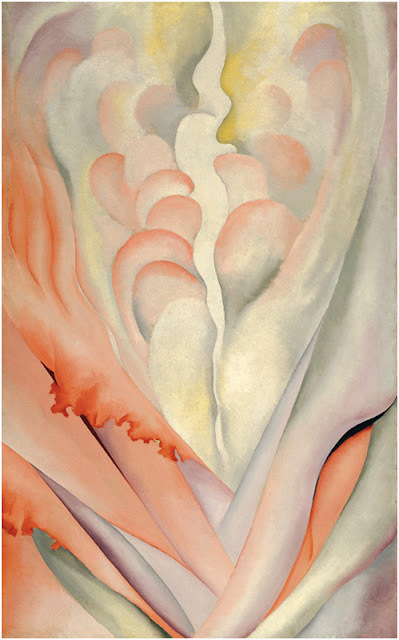 Georgia O’Keeffe’s magnified flowers. I had only seen her work in artbooks and was always drawn by her exceptional powers of observation and extraordinary skills with a paintbrush. 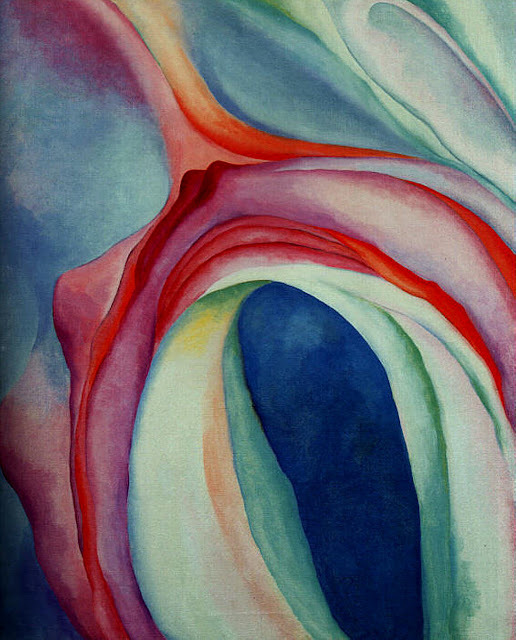 O’Keeffe had the rare ability to record subtle nuances of colour, shape and light with great finesse. As humans we see flowers as small organic objects but by magnifying them, we experience the flower as a bee or other small insect would. Seductively enveloping us in both colour and shape. O’Keefe’s flower inspired me to create my own enlarged project. My preferred medium is textured paper and Hong Kong is one of the best places in the world to find different varieties of this material. When I arrived home, I set about making enlarged flowers using thin mulberry paper. The dispersed fibres embedded in each sheet along with the semi-sheer quality of the material made it ideal for my giant paper roses. The paper gives the flowers an elegant romantic quality that enables small variations of colour whenever light shines through the petals. I really enjoyed making them and I hope you will too! Above is a video tutorial on how to make a beautiful bouquet of paper flowers, and below is a step-by-step guide as to how I made them. Print out template above and enlarge shapes by 200%. Petal 1 and Petal 2 will be cut out from the peach paper. The calyx and leaf will be cut out from the green paper. 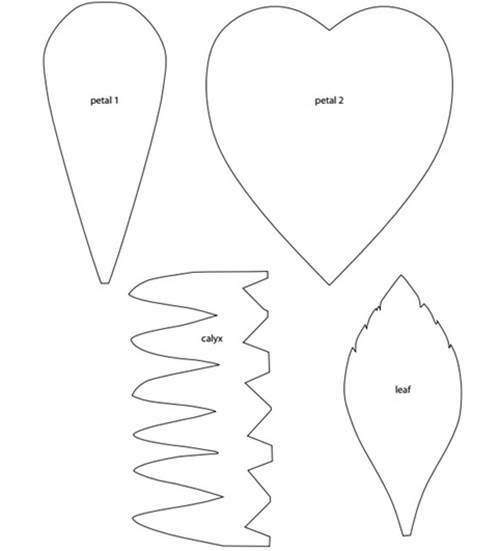 Fold the peach paper and then the green paper in half and draw shapes onto the papers and cut out the shapes carefully. Using the pencil, curl the tips of Petal 1 and Petal 2 cut outs. Using floral tape, pull it gently so it becomes sticky on one side and wrap it around two floral wires. Take one Petal 1 cut out and fold the narrow end around the wire and close the end, take another Petal 1 cut out and fold it the oppostie side of the first petal you wrapped around the wire. Wrap the third petal half way between the folded petals you have already wrapped. Repeat the process until all six of your Petal 1 cut outs have been used. Secure the six petals with floral tape around the wire. Take one Petal 2 cut out and fold the narrow end around the wire and close the end, take another Petal 2 cut out and fold it next to the first petal you wrapped around the wire. Repeat the process until all sixteen of your Petal 2 cut outs have been used. Then take the Calyx cut out and wrap around the base of the bloom and secure again with floral tape around the wire. Using floral tape, pull it gently so it becomes sticky on one side and wrap it around one floral wire. Repeat once so you will have two wrapped single wires. Taking one leaf, glue the middle and round the sides. Place one wire ¾ the way up the leaf and place another leaf directly on top. Gently press with your fingers to secure the two leaves and the wire together. Repeat this process once so you will end up with one leaf on the end of two wires. Take the wires with leaves and assemble how you wish against the the main stem. I recommend doing one longer than the other. Secure the two wires to the main stem with floral tape. To finish, check if some of the petals lost their curl during the assembling process. If so, use the pencil to re-curl and re-define the edges of the petals to create a fuller bloom. Paper Art (for the thin mulberry paper) Address: 1/F, Hung Tak Building, 106-108 Des Voeux Road Central, Central, Hong Kong. Emerald Floral Art & Accessories (for floral wire or floral tape) Unit B, 6/F, Lokville Commercial Building, 27 Lock Road, Tsim Sha Tsui, Kowloon, Hong Kong.